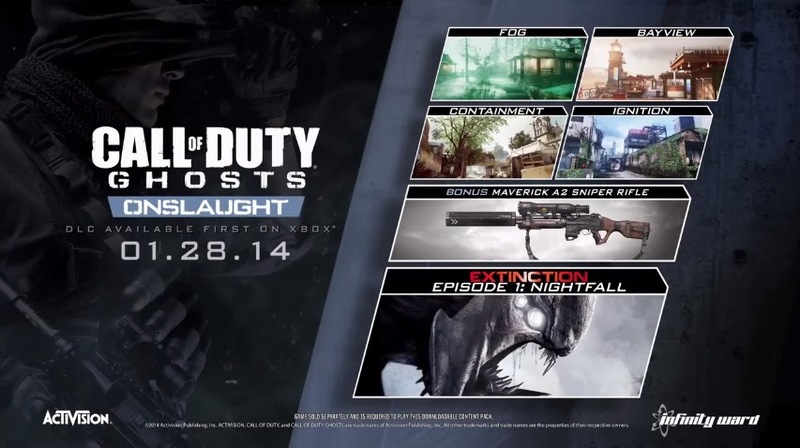 Activison recently released a new trailer for their upcoming DLC for Call Of Duty: Ghosts, Onslaught. The DLC is planned to be released first on Xbox 360 January 28th, with other platforms to follow. The CODnapper and his team of associates rescue unsuspecting fans from their ‘to do’ lists and everyday chores and deliver them to an oasis known as Onslaught, the first downloadable content pack available for Call of Duty: Ghosts. With four new multiplayer maps, the Maverick - an all-new dual purpose Assault Rifle & Sniper Rifle, and the next installment of Extinction, you’re going to want all the time you can get. See the CODnapper trailer below!